You are here: Home / Freebies / IHOP: FREE Scary Face Pancakes for Kids on Halloween! 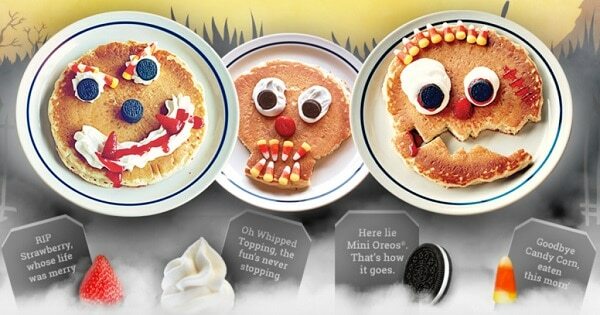 IHOP: FREE Scary Face Pancakes for Kids on Halloween! It’s that time of year again! This Halloween between 7am – 10pm, stop by your local IHOP restaurant where kids ages 12 and under will receive a FREE Scary Face Pancake! If you can’t make it that day, no worries because you can visit anytime this month to enjoy these fun (and delicious) pancakes. They won’t be free, but they’re worth it!